Offering free Wi-Fi, free breakfast and free off-street parking, Hulmes Court B&B is set in a Victorian mansion in the centre of Dunedin. It is 3 minutes' walk from the Fortune Theatre. Guests enjoy free biscuits and free use of a guest computer. Albatross Inn Bed & Breakfast offers comfortable guest house accommodation with free Wi-Fi and free car parking. 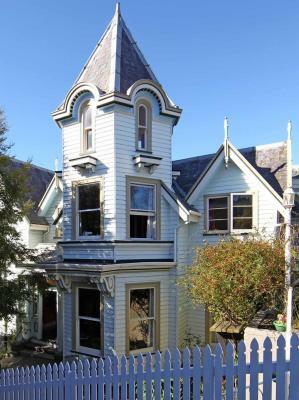 Located in central Dunedin, it is just 200 metres to restaurants and cafes. Just 8 minutes’ drive from central Dunedin, the 40-acre Leithview B&B offers accommodation with a private patio overlooking beautiful native gardens. It features free Wi-Fi and barbecue facilities. 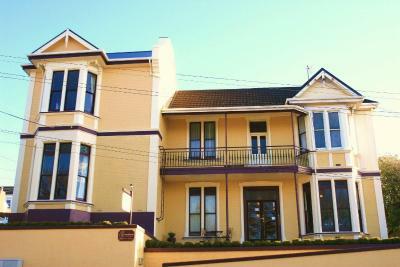 Offering pristine views of the mountain and valley, Baldwin Streen BnB is set in Dunedin, in the Otago Region. 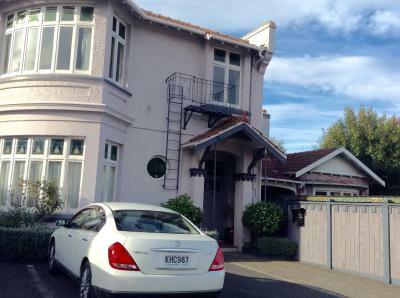 The property is located on Baldwin Street, which is the steepest street in the world. Free WiFi is provided throughout the property. Featuring free WiFi throughout the property, The Birches Bed & Breakfast is situated in Dunedin, 13 km from Toitu Otago Settlers Museum. Free private parking is available on site. Every room is equipped with a flat-screen TV and Blu-ray player.